It was August 2005, and we hadn't gone away. I related the reason why at some length on the Norfolk site, but it bears repeating. A few months earlier, as we were coming home from Cambridge in the dark in sub-zero temperatures, our car's camshaft had decided to break away from its moorings and drive itself up through the engine. The man at the garage was open-mouthed in disbelief when he saw it; he mentioned some unlikely five figure sum as the repair cost, and so it was that we spent all the holiday money on a new car instead. 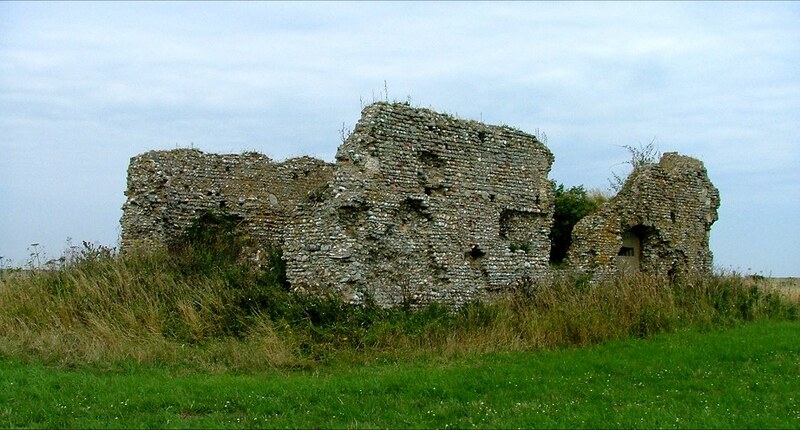 The Summer came, and we decided that we would treat adversity as an opportunity to get out there and find the few places in Suffolk that we hadn't yet discovered. Of the 650 churches in the index of this site, there were five that I still hadn't visited. 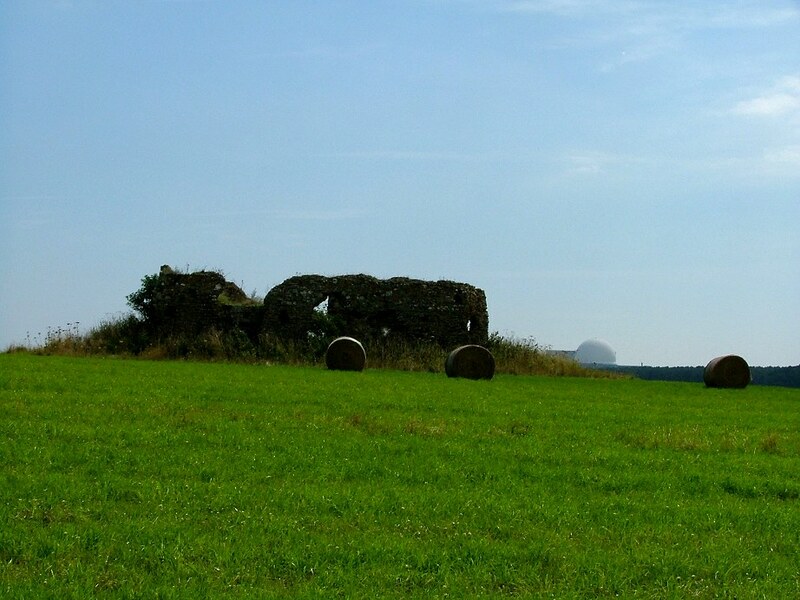 Three were ruins, the other two no longer exist at all, but knowing the sites was enough, they had to be visited. I thought the best one to start with was the most child friendly; it needed a beach nearby, a pub, a good walk that wasn't too long, and a spot of sunshine. Why, we could almost pretend that we were in Greece or the south of France after all. And so, one August morning the sun came out, and we headed off to Eastbridge. Eastbridge is a small village just to the north of Leiston. It is actually in the parish of Theberton. You might guess that the ruin we were going to visit was the former parish church, the two parishes being consolidated after the Reformation. But this isn't the case, and Eastbridge has always been a hamlet within Theberton. 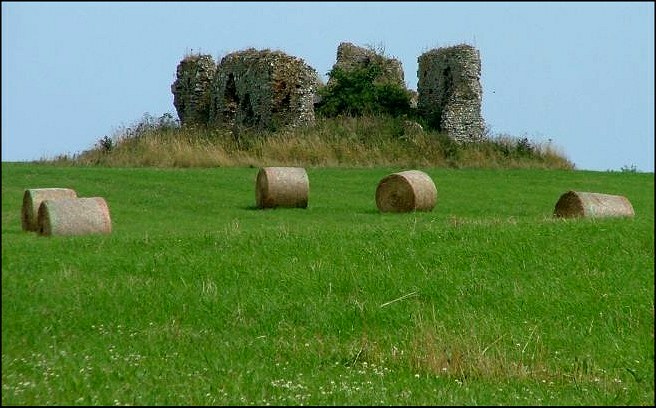 In any case, the ruin is much more interesting than that. 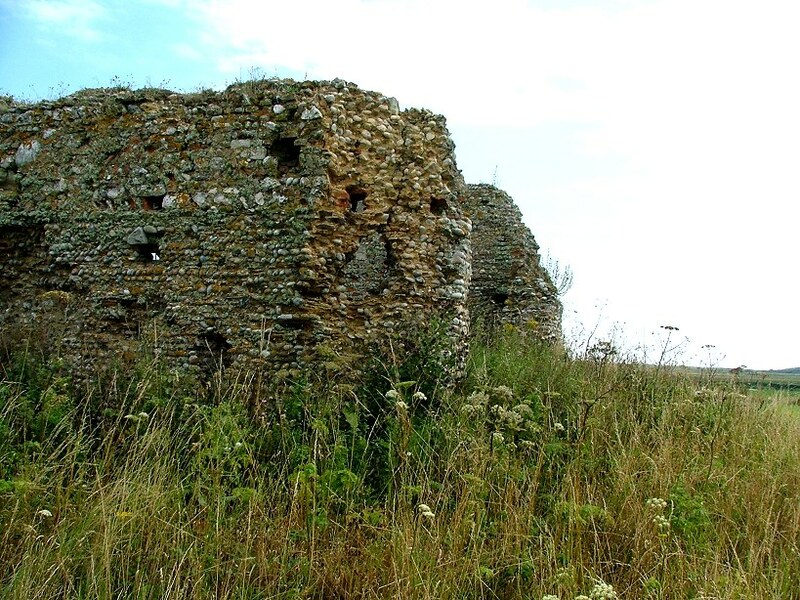 The hamlet is tiny, and off the beaten track, but is well known for two reasons. Firstly, it is the nearest settlement to the RSPB reserve at Minsmere. Secondly, it has a really decent, child-friendly pub with an affable landlord. It is called the Eels Foot, and I thoroughly recommend it. 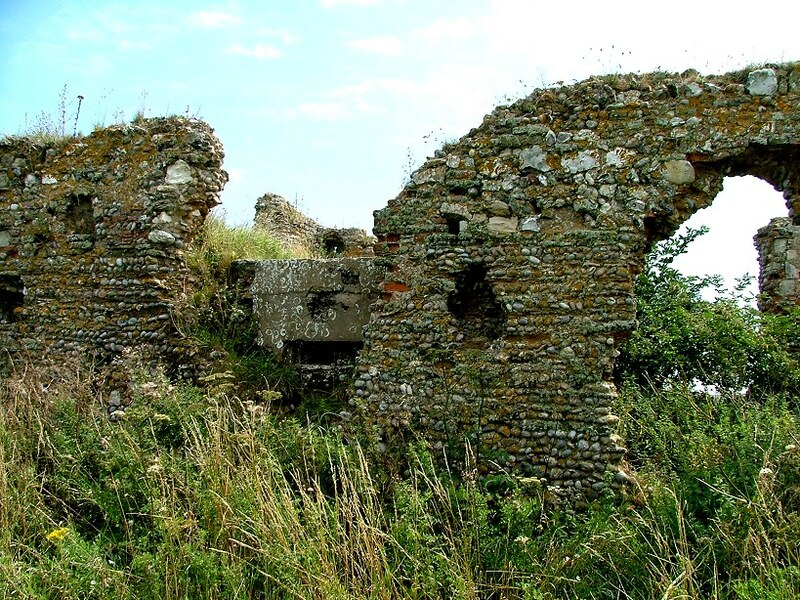 We went straight there, and had lunch, and then we set off for the ruin. Heading south of the pub, we found a footpath marked to Minsmere Sluice about fifty metres down the road. This is a beautiful walk, but it is not undemanding; you could just about get a bike along it if you were willing to lift it over stiles. Part of the walk crosses a field which was high with maize on this sunny day - it really was a bit like being in France. For a good part of the walk, you amble beside the Minsmere river, dappled and sparkly under the trees. I saw a marsh harrier off to the north, dipping and rolling over the banks. The landscape was rich and green; but wild, increasingly untouched as we headed east towards the sea. And then, up ahead, was a first sight of the ruin. 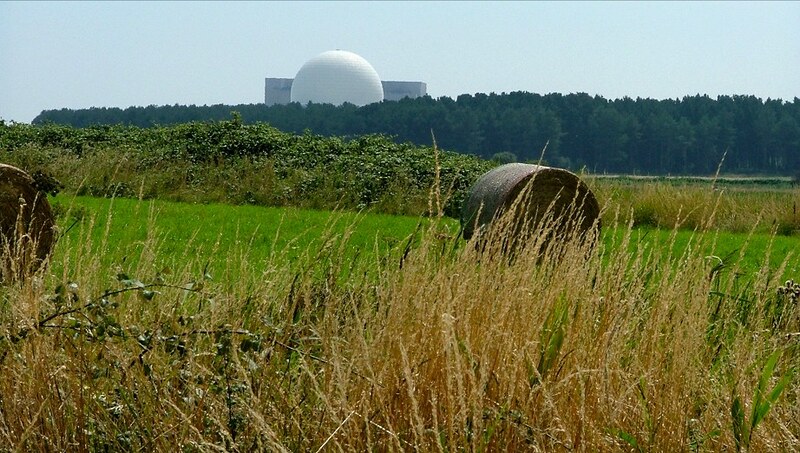 It stands on a knoll in the fields, about a mile and a half along the path from the Eels Foot, the white dome of Sizewell B nuclear reactor about a mile to the south of it. 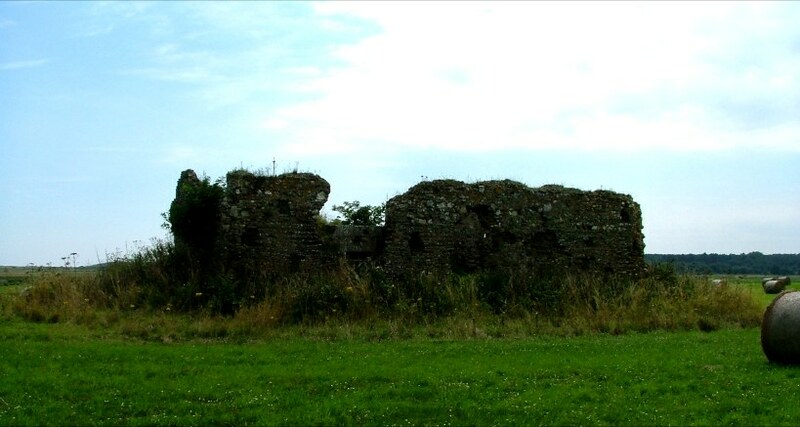 The ruin is about ten metres long, perhaps four wide. 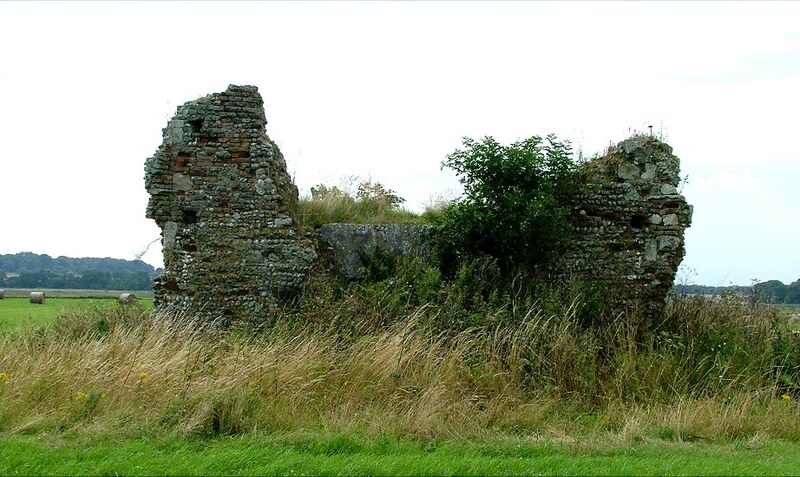 The north and south walls stand fairly tall, broken down where the windows were. 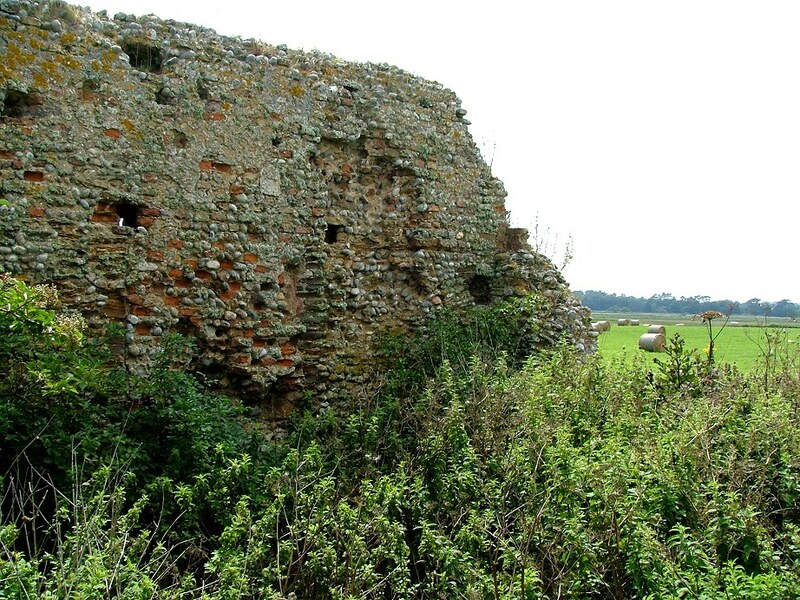 The west wall has gone; the east wall, on the other hand, appears to have a concrete block built into it. 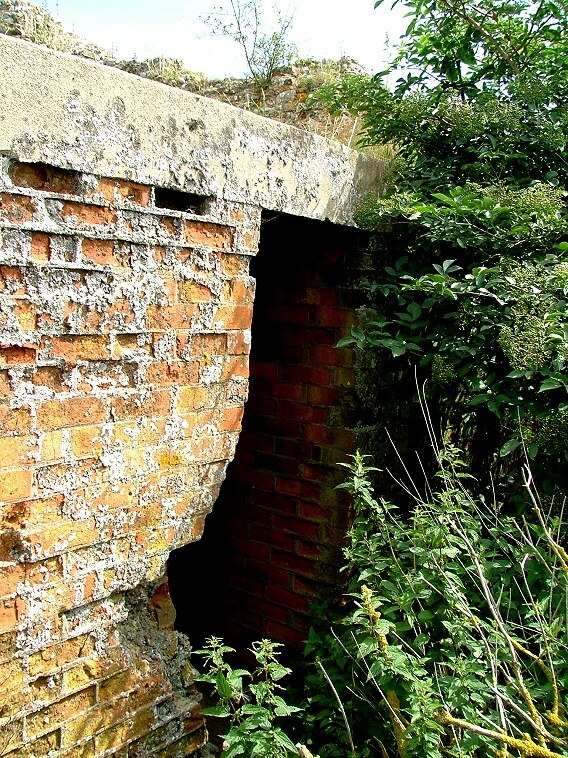 As you get closer, this resolves itself into a WWII pillbox - that is to say, a machine gun emplacement. The age is revealed by the surviving core around an opening in the shape of what must have been a Norman doorway. 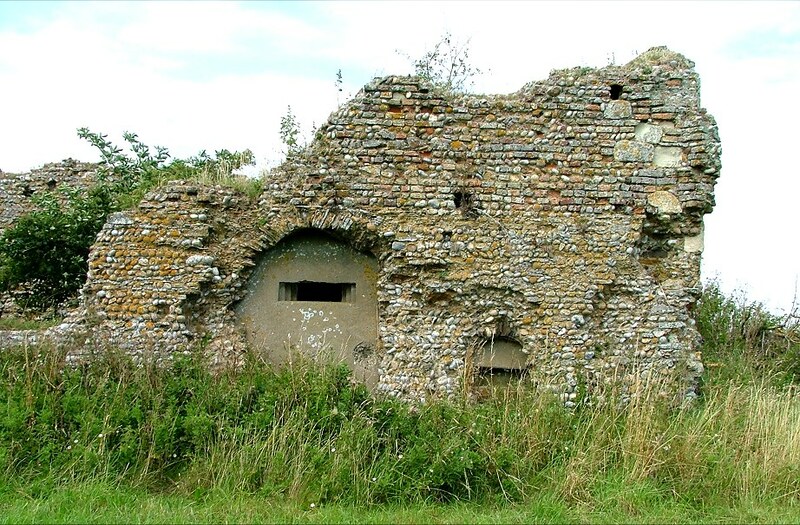 The little chapel was, in fact, the church of a Premonstratensian community, an order who would later move to Leiston and build a grand Abbey there in the 14th century. They probably left this site because it is so vulnerable to the sea. 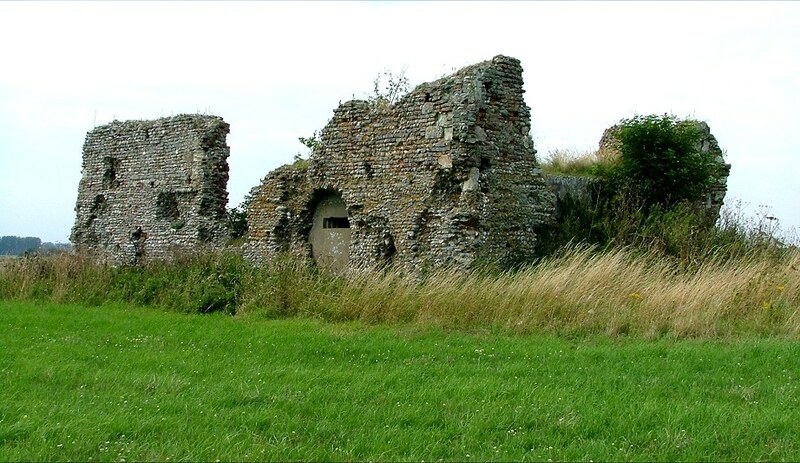 We know they went to Leiston in 1382, exactly 200 years after the community first formed, in which case this building must date from the end of the 12th century. There are no signs telling you to keep out, but the site is surrounded a barbed wire fence and a ditch that is about a metre and a half deep. The county council website warns you that there is no access to the site; but, while I could not possibly recommend you to trespass, I can tell you that access is possible. 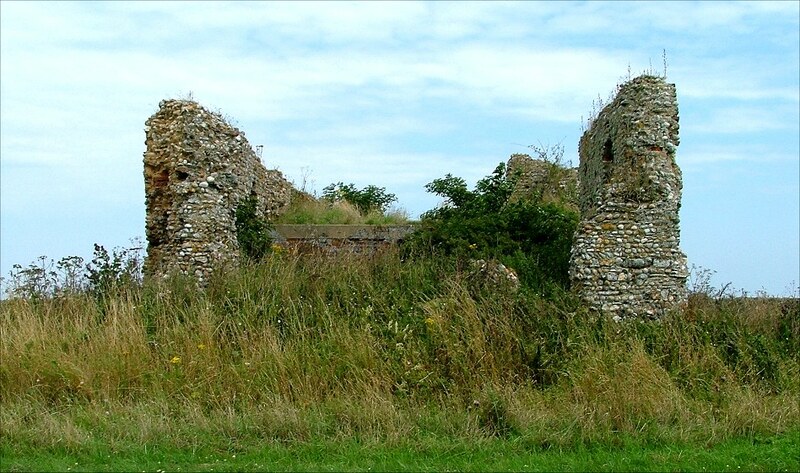 If you continue along the path until you are level with the ruin (that is to say, that it is exactly to the south) you will find that there is a break in the ditch, and a wooden fence replaces the barbed wire for a distance of about two metres. This is easily climbed, and then it is a walk of about fifty metres to the ruin itself. 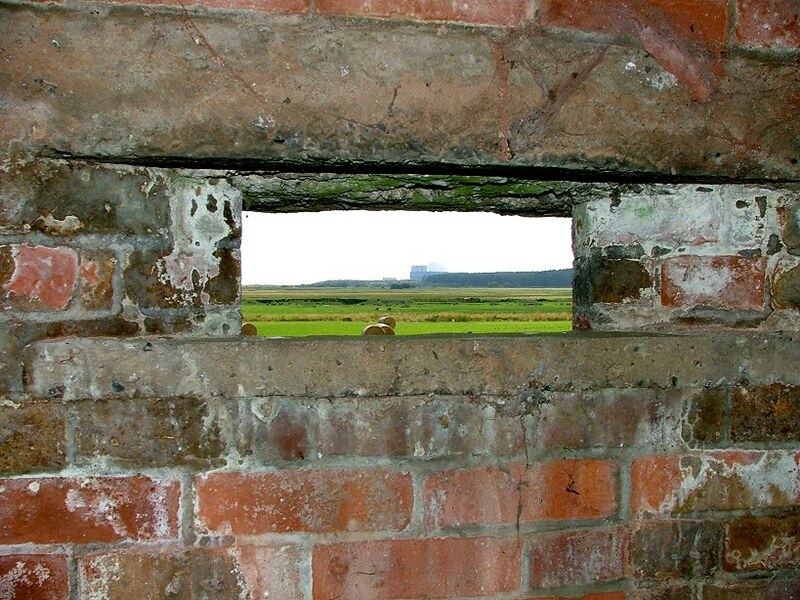 If you were to walk to it (and, of course, I couldn't possibly recommend that you do) you'll find it is possible to enter the ruin and explore it, to climb on to the top of the machine gun emplacement and survey the view, and actually enter into it and stare out. 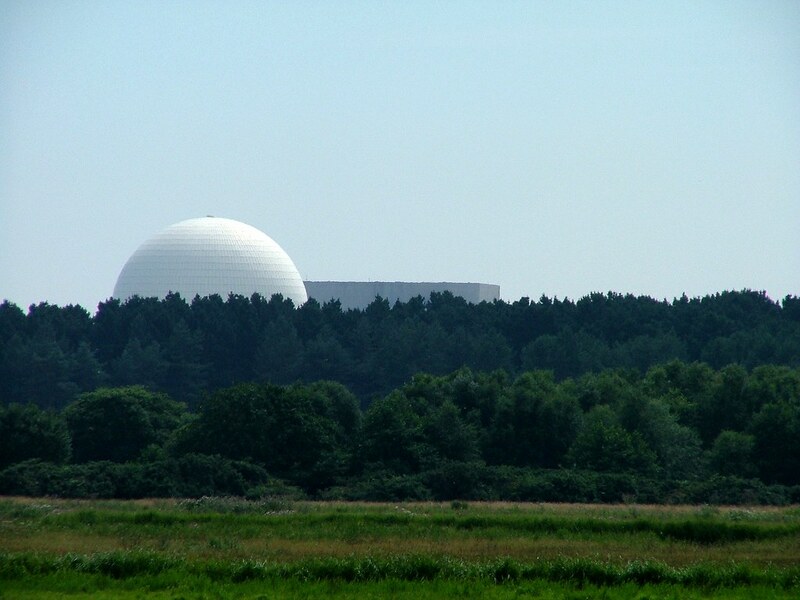 Surreally, the gun slot facing south lines up exactly on the dome of the nuclear reactor. What I do recommend is that, afterwards, you carry on east; after half a mile you reach Minsmere beach, a wild spot with no vehicle access. Even in the height of summer, with crowded Walberswick beach visible a mile or so to the north, we were almost alone on it. The four mile round trip is worth it for this alone, never mind the ruin of the chapel as well. And then, back to the Eels Foot to recover. 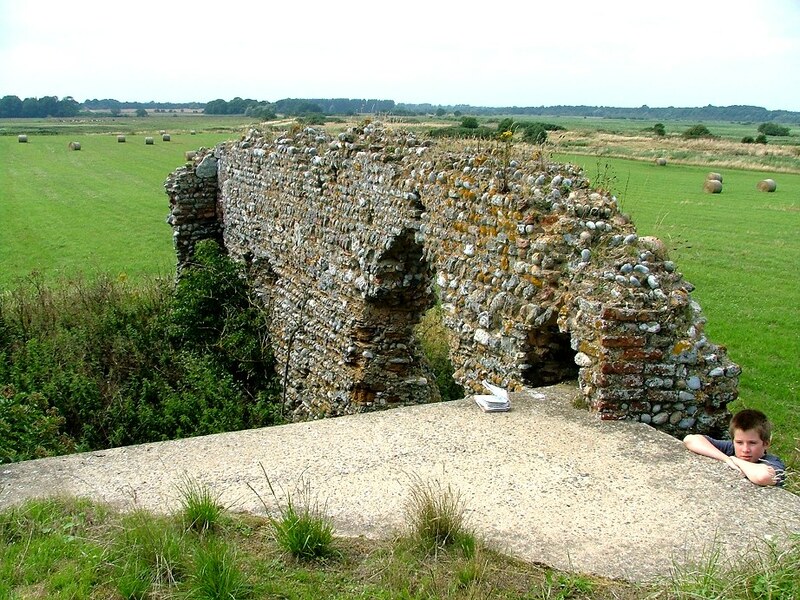 Eastbridge is to the north of Leiston, and is signposted from the Leiston to Walberswick road. 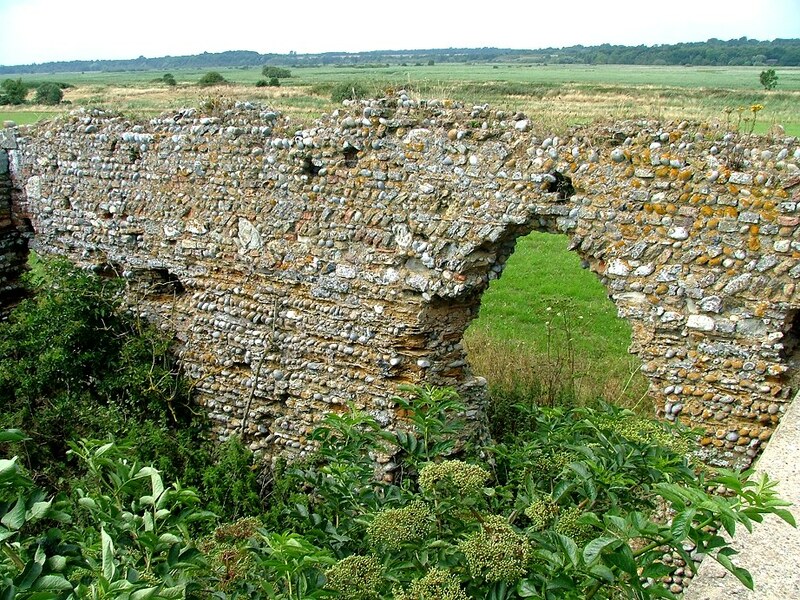 The footpath out to Minsmere Sluice starts about 50 metres south of the Eels Foot Inn - they are happy for you to leave your car in the car park as long as you come back and have a drink afterwards. The chapel is about a mile and a half along the footpath, and access is possible directly from the north of it. 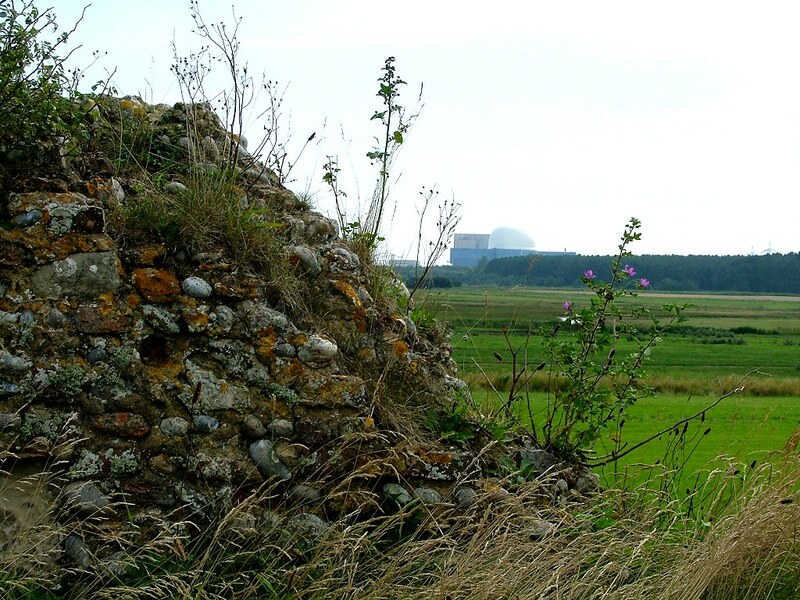 Alternatively, if you are feeling energetic, you can walk to the ruin along the beach from Sizewell (about two miles) or Walberswick (about three miles).